18Birdies is modernizing golf by using technology to make it a more fun, convenient and connected experience. The 18Birdies mobile app provides utilities for golfers of all skill levels to enhance and improve their game and a social network for golfers to connect with each other and share their golf experiences. 18Birdies also provides tournament management software that allows users to create a socially interactive tournament experience on one or multiple courses, and includes the ability for participants to view a live leaderboard within the 18Birdies mobile app and share their favorite moments as they happen with the rest of the tournament field. Chronogolf offers an innovative, powerful, and affordable cloud-based club management solution for all types of facilities in the golf industry. Over 400 courses worldwide are now benefiting from Chronogolf’s best of breed approach, using a suite of products that help them manage their properties in a more efficient and effective way. We take a partnership approach with our clients, always striving to work with them in order to get the most out of the solution they have chosen. Our software, in combination with our flexible pricing and no term contracts, makes Chronogolf a refreshing change to a very traditional industry. EZLinks Golf LLC, a PGA TOUR affiliated company, produces industry-leading software and services to power the operations and marketing needs of the golf industry. Founded in 2015 by a PGA TOUR affiliate and EZLinks Golf, Inc. (established 1995), EZLinks Golf LLC’s software and service suite is tailored for golf and includes: tee sheet, point of sale, 24/7 reservation center, online booking engines, marketing products and services, 24/7 support and TeeOff.com by PGA TOUR (www.teeoff.com) – an online tee time marketplace connecting millions of golfers with tee times at golf courses worldwide. The primary purpose of the Golf USA Tee Time Coalition is to support a more competitive and balanced marketplace in public golf that is both supportive of the golf course owner, operator, PGA professional and the golf consumer. This will be accomplished by promoting adoption of online tee time guidelines and best practices among technology companies, online agents, marketers, golf course operators, general consumers, and the media. 121 Marketing focuses on providing facilities with the best technology and marketing strategies to maximize their revenue. Our expertise includes SEO, PPC ad management, website development, email campaigns, social media management, and more. With our collective industry experience, passion for the game and drive for customer success, you can be confident in your partnership with us. Club Prophet Systems (CPS) designs fully integrated Golf Management Software systems. Point of Sale (POS), Food and Beverage (F&B), Customer History and Member Management with Billing and Online Statements, Tee Time and Online Reservations, Email Marketing, Mobile Solutions, Integrated Credit Card Processing, Reporting, Inventory Control, and more. CPS provides solutions for every type of golf facility including driving range, public, private, resort and municipal including multi-course and management companies. We can provide local and cloud based solutions and can tailor a system to fit your needs and budget. At Dynamic Revenue Services, we believe golf course operators should have the opportunity to leverage their high demand tee-time inventory and drive revenues while still appealing to price sensitive consumers in lower demand windows. We help golf course operators by providing technology, tools and crucial input on a daily basis to help them make smarter pricing decisions and ultimately improve their bottom line revenue. Our clients can expect to increase online bookings, to grow their customer database and understand customer booking behavior. foreUP: All-In-One Golf Business Management We believe the more powerful the technology is, the easier it should be to use. That’s why we’ve created a cloud-based golf management platform that’s so deceptively simple, you’d never guess it can power & streamline every aspect of your course operations. What’s our secret? Serving our clients is our first priority, so we allow you to integrate every tool, every service, and every piece of data you need to run your course profitably and efficiently. And because it’s all in one place, you only need to sign into one software all day. Now that’s innovation. Gallus Golf is the leader in custom course mobile app software, working with nearly 800 golf courses across the globe. Gallus is committed to be an innovator for the golf industry by creating technology that improves the experience between golfer and golf course. Our partner courses attract more customers, retain them longer, and add incremental revenue by embracing the latest technology delivered by Gallus Golf. IZON Golf is comprised of industry veterans with over 50 years of history within the golf industry and is quickly becoming the leader in on-course technology & GPS services to golf course operators and golfers. IZON has created a private proprietary media platform that connects highly valued premium consumers with advertisers in a very targeted manner. IZON Golf is the only true agnostic GPS provider to all cart manufacturers and all cart battery types. IZON prides itself on being the most reliable while also being the absolutely most affordable GPS solution. MSL exists to Develop Loyal Communities for Sports, Leisure & Hospitality businesses. We believe everyone wants a premium, personalised experience being part of a community organisation. Sports, leisure and Hospitality venues face unique challenges to keep their patrons engaged whilst marketing and growing their member base. MPower has built a range of clever solutions that can work together in an open platform environment to connect every facet of the operations of a venue. MSL’s MPower Platform connects member organisations’ business software and data needs to improve member and customer engagement, loyalty, gain business efficiencies and improve governance. MSL provides scalable full venue business software applications and data solutions integrated through the MPower core integration architecture. MSL provides cloud based SaaS, hosted and on-site deployed software, data, and loyalty/media solutions. MPower MSL has a number of brands across the world with offices in Australia, Denmark and UK. Players 1st is the world’s leading supplier of Customer Experience solutions specifically designed to help golf course operators improve business results by providing actionable insights to elevate their player’s experience. Players 1st has forged strategic partnerships with leading national golf associations across Europe and North America, combining their expertise in customer experience management with industry best practices to deliver a powerful, easy to deploy solution for public and private course operators to help them take care of their most important asset – their members and guests. Priswing is a cloud-based dynamic pricing and business analytics solution specifically tailored for golf management. Its ambition is to drive more revenue and uncover actionable data insights with little to no effort for golf managers. Like in the airline and hotel industry, price optimization is a key challenge in the golf industry: golfers want to pay the right price at the right time and golf managers want to optimize their occupancy rate and overall revenue. Rapid Oxygen is a private company based in Connecticut that manufactures a patented emergency oxygen delivery system called the R15. Our founder, Richard Imbruce, has a PhD in Pulmonary Physiology and is a strong advocate of emergency safety protocol. Working in conjunction with the University of Michigan and a team of scientists and engineers, Richard created a way to produce the emergency oxygen without any explosion hazard. The company has two patents relating to its unique delivery system and oxygen production. ReServe Interactive specializes in cloud-based Catering, Event Management, Membership Sales, Reservations, Table Management and CRM software for the hospitality industry and has been helping customers optimize their business operations since 1996. ReServe Cloud® software is used by many leading Golf Management companies including Touchstone Golf, American Golf, Arcis Golf, Drive Shack and more than 15,000 users across 14 markets nationwide. 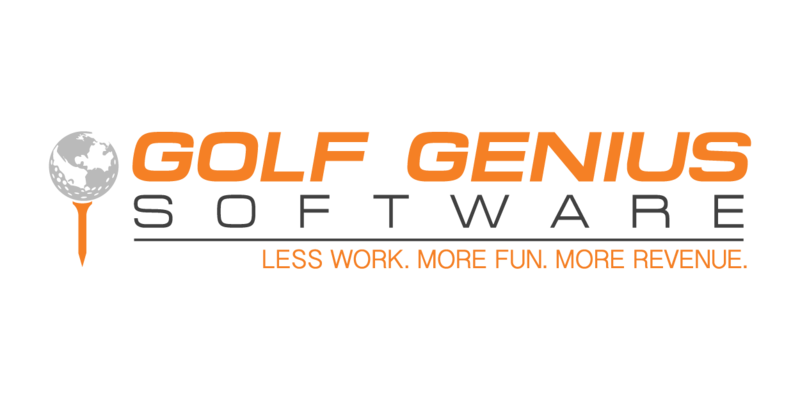 The company is headquartered in Livermore, California with offices across the U.S.
Tee Time Central is an enterprise-based software service designed specifically for the golf industry. Our powerful golf course management suite includes booking engine, central reservation system, call center and package company platform. We will equip your golf course with the latest technology to help increase efficiency, reduce costs, boost revenue, and improve customer service. Tee Time Central is a one stop-shop to meet all the needs of your golf business.